"The Eye in the Door" is the winner of the Guardian Fiction Prize and the second book in Pat Barker's acclaimed "Regeneration" trilogy. London, 1918, and Billy Prior is working for Intelligence in the Ministry of Munitions. But his private encounters with pacifists, objectors, and homosexuals force him to confront his inability to be the dutiful soldier his superiors wish him to be. 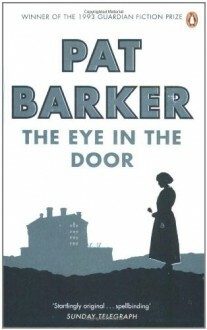 Pat Barker's "The Eye in the Door" is a heart-rending study of the contradictions of war and of those forced to live through it. "Gripping, moving, profoundly intelligent ...bursting with energy and darkly funny". ("Independent on Sunday"). "Superb". (A.S. Byatt). "Exhilaratingly readable". ("The Times Literary Supplement"). "Unwaveringly intense and intelligent". ("Sunday Times"). "Spellbinding". ("Sunday Telegraph"). "One of the strongest and most interesting novelists of her generation". ("Guardian"). "She remains peerless in her articulation of the unspoken word". ("Observer"). Pat Barker was born in 1943. Her books include the highly acclaimed "Regeneration" trilogy, comprising "Regeneration", which has been filmed, "The Eye in the Door", which won the "Guardian" Fiction Prize, and "The Ghost Road", which won the Booker Prize. The trilogy featured the "Observer's" 2012 list of the ten best historical novels. She is also the author of the more recent novels "Another World", "Border Crossing", "Double Vision", "Life Class", and "Toby's Room". She lives in Durham.